徳島大学附属図書館蔵本分館日誌: Let's Discuss in English ! Let's Discuss in English ! 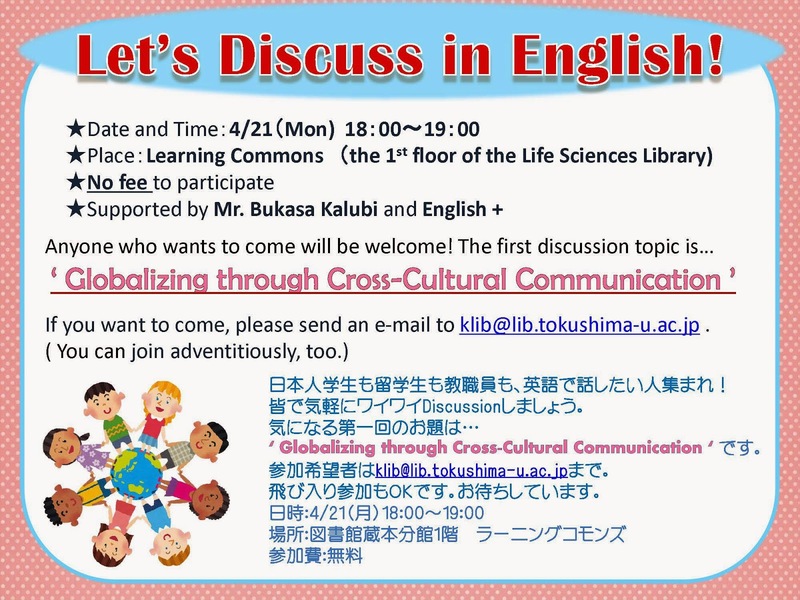 If you want to come, please send an e-mail to klib@lib.tokushima-u.ac.jp .